A bucket list: A list of goals you wish to achieve before you die. Things to check off as you make your way through life. The younger generation strive to achieve more and be better than others which can be quite stressful. I stumbled across a post on Pinterest that delved into the idea of a 'reverse bucket list': a list of things you are very proud to have accomplished already in life (which unfortunately I have lost the link too but will credit the lovely person who mentioned it when I find them!). 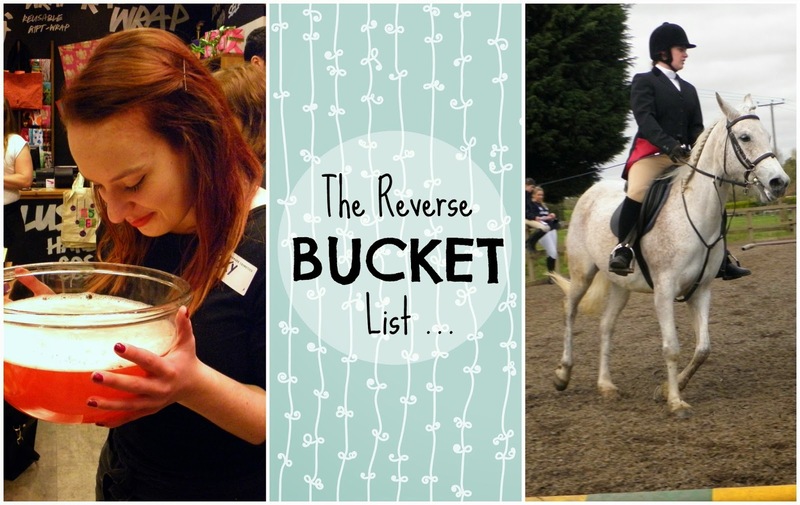 I always feel that I've not achieved enough and I thought it would be a good idea to make a reverse bucket list to show myself all of the things I should be proud of! Getting a degree. Managing to make it through three years of education hell and having a whole degree to show for it. Getting a place at university full stop! Helping create and run a blogger event at work. Actually getting a job at my current work place! What things are you most proud of? Create your own Reverse Bucket List and leave the link in the comments below. This is such a lovely idea for a post! I think it's human nature to be too harsh on ourselves and not give ourselves enough credit. I'm proud of you for all of your accomplishments as should you be!